It can’t get better than this, this February on Glambeaute.com! Spin the wheel, crazy deals, and special personalized gift cards - these are just some of the best Valentine’s Day offers available on Glambeaute.com, the one-stop online shop for all your beauty needs! Glambeaute.com is out to make Valentine’s shopping fun and exciting for everyone. It’s a whole month of offers, and there’s a chance for everyone to participate and win. 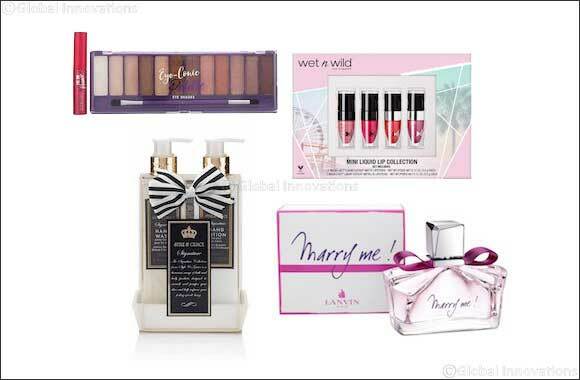 Shoppers can enjoy deal-of-the-day perfume offers throughout the month and a fun Valentine’s Day themed spin-the- wheel for chances to win some great beauty prizes and discounts. If you’re looking for the perfect beauty gift, you can opt for a personalized gift card specially introduced on the website so that your Valentine can have the same experience as you on Glambeaute.com. Here are a few beauty and grooming essentials to get Valentine’s Day ready that could also make for great gifting options! Be kiss-ready with Wet n wild’s long-lasting lip set. Containing 2 matte and 2 metallic colours, it features dynamic pigments that appear to change with light. Offering intense pigmentation, these minis have a comfortable finish, without drying the lips. Glambeaute.com stocks a selectin of Gabru beard oils. The brand’s special blend of natural oils helps condition the beard as well as soothe & calm the skin beneath.